We’re a UK-based team of experienced developers and marketers, and have over 15 years combined experience in the business SMS industry. We’ve designed and built an easy-to-use platform to allow businesses to use SMS to increase sales and engage with their customers more effectively. We believe in simplicity and transparency, which is why we’ve built Textplode to be as easy as possible to use, and there are no set-up fees, contracts or software to download. 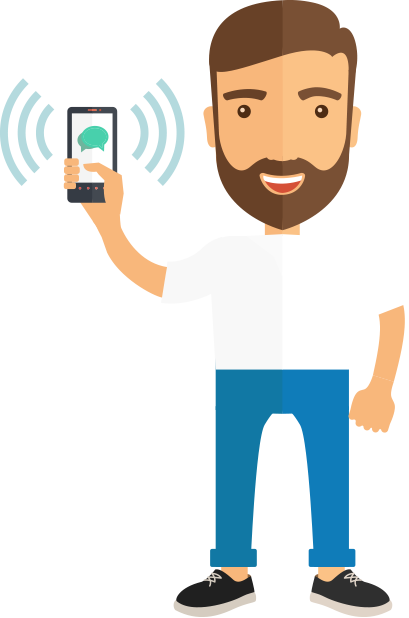 Using only the highest quality Tier-1 connections to deliver your messages instantly, you can guarantee your messages sent through Textplode are received on time. Whether you are considering adopting SMS as part of your existing marketing strategy, have never heard of it, or are already using it - our dedicated support team are on hand to help. Simply give us a call on 01543 225919 or click here to email us.